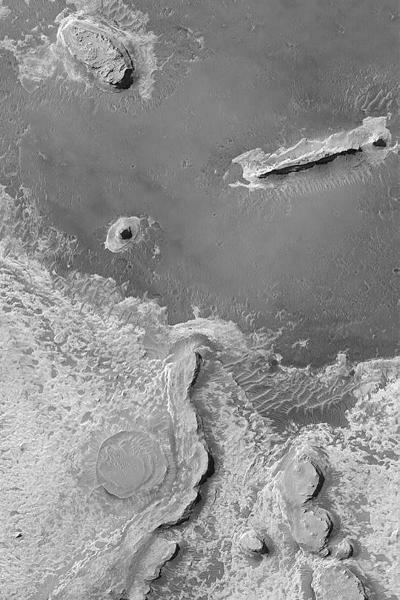 Three views of heavily weathered terrain in crater in western Arabia Terra. 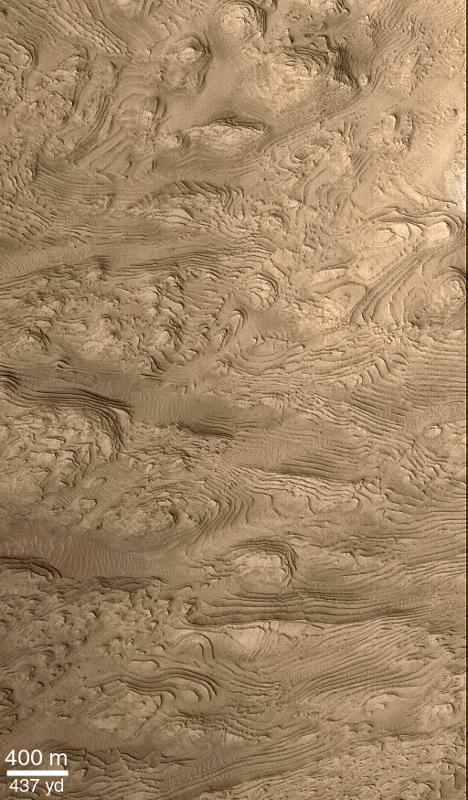 Presumably caused by wind erosion of sediments laid down by unknown means. 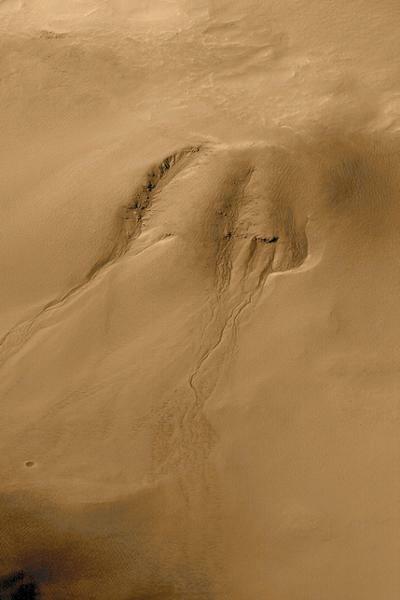 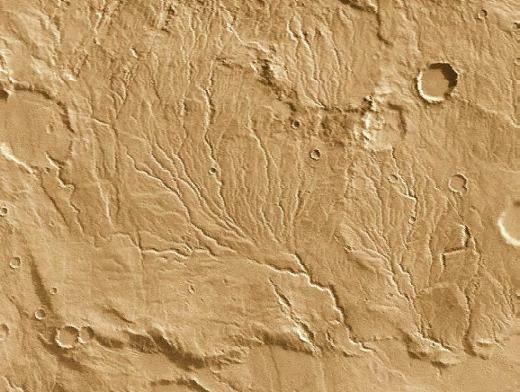 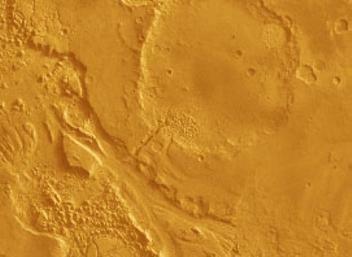 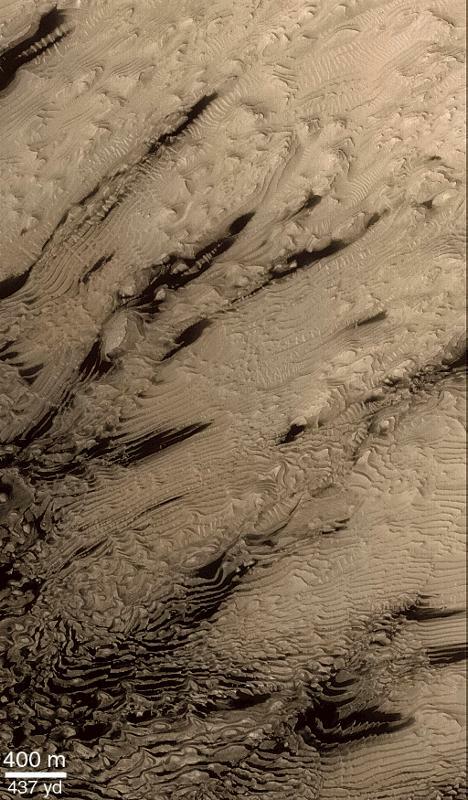 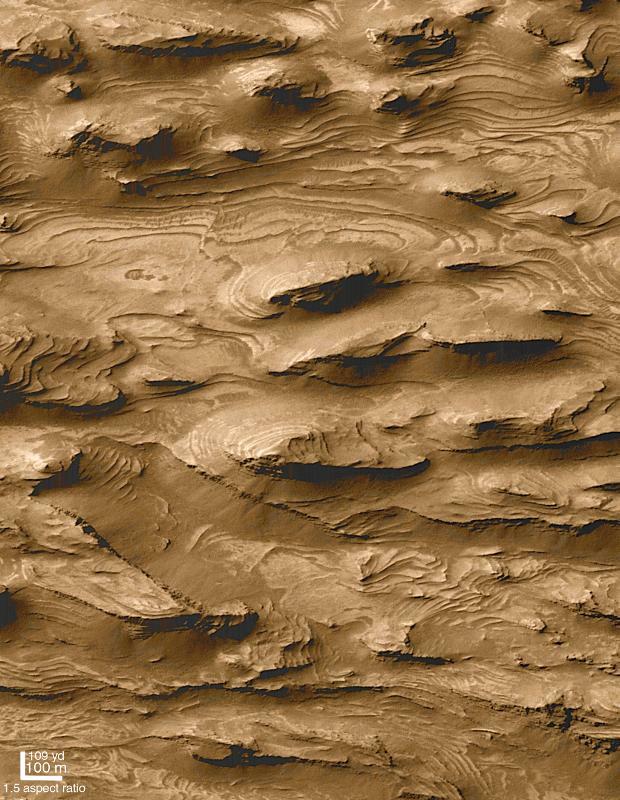 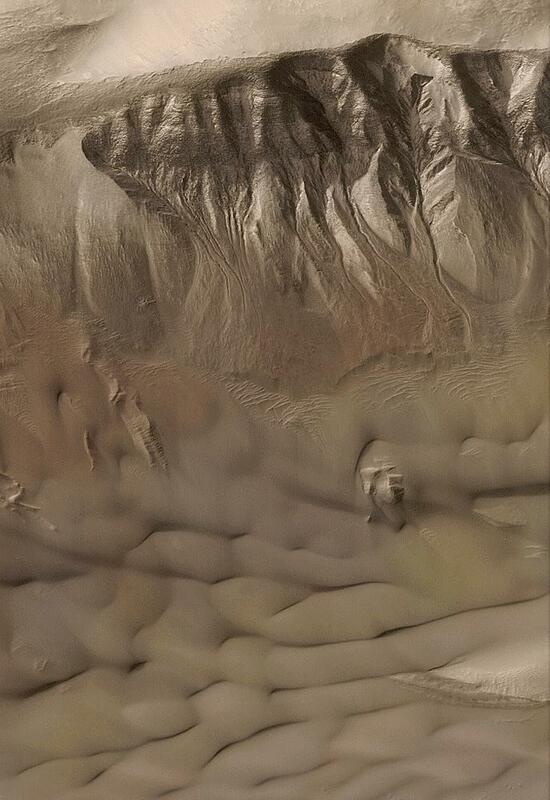 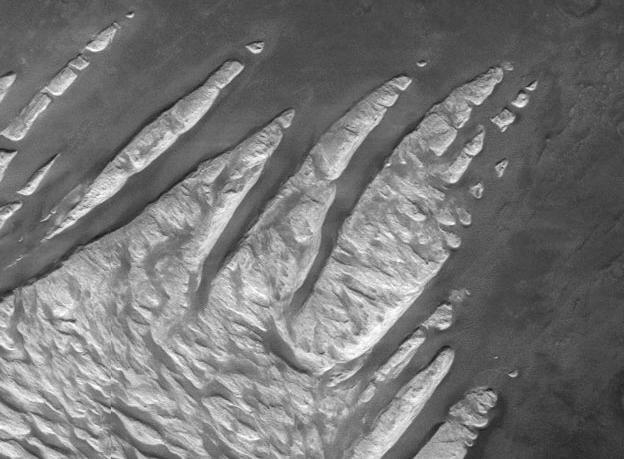 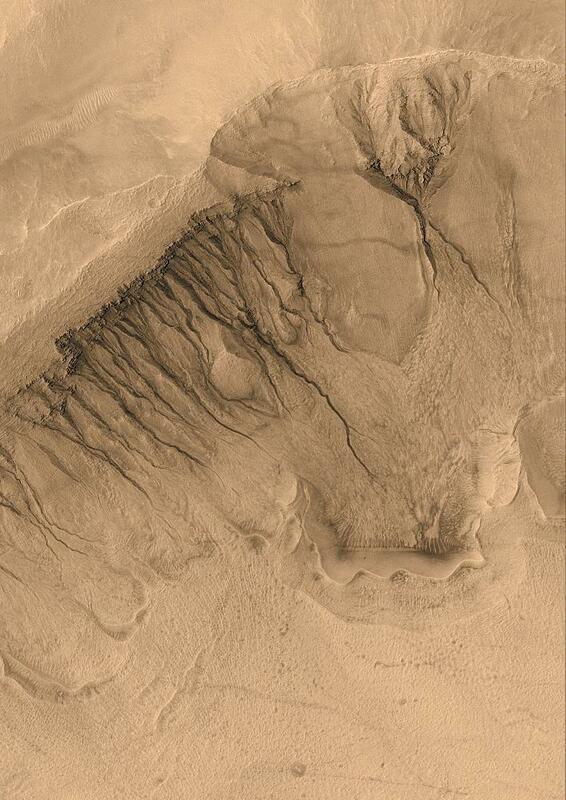 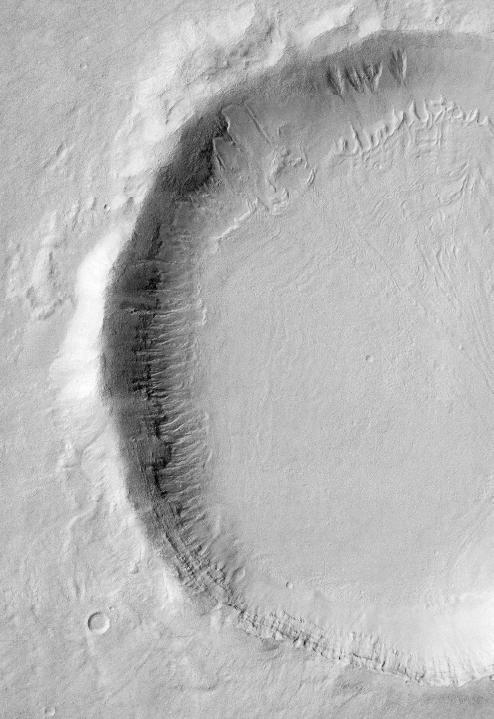 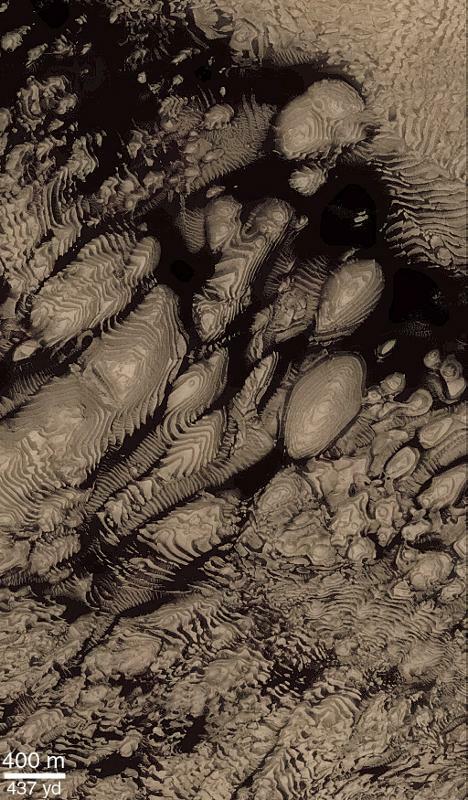 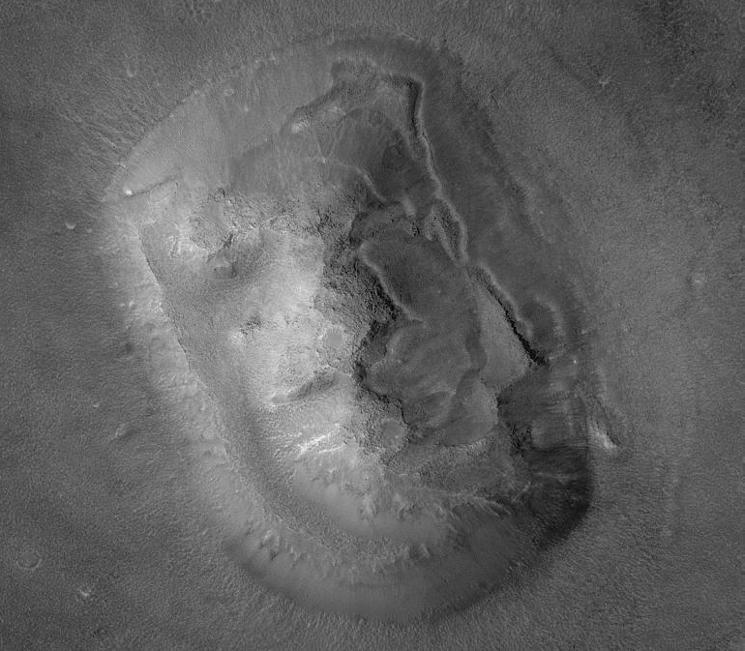 Heavily eroded mesa in Cydonia, notoriously known as the "face" on Mars.